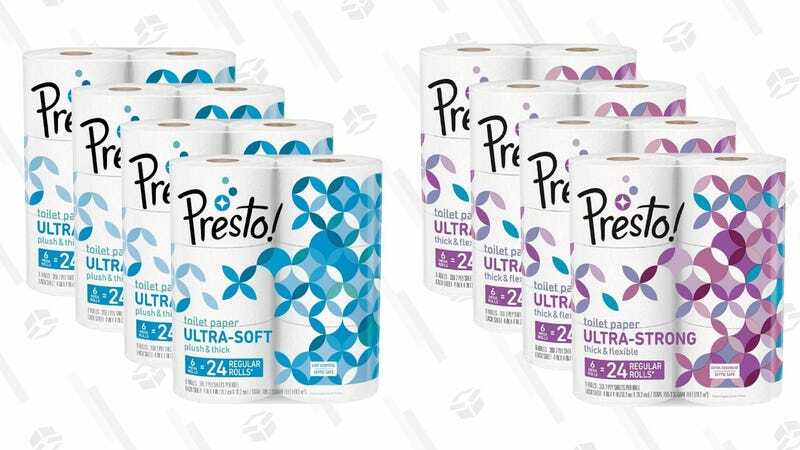 Amazon makes its own toilet paper now (under the Presto! brand), and Prime members can save 20% on a 24-pack of the soft or strong variety when they clip the coupon and use Subscribe & Save. Because there’s just no need to flush your money down the toilet. Just remember to cancel your subscription if you don’t want to keep receiving it.